According to a recent report by www.designingbuildings.co.uk just 15% of construction executives favoured a UK exit from the European Union (EU). In recent times the Bank of England declared a no-deal Brexit could wipe 8% off the UK’s GDP this year – a bigger hit than the financial crisis – potentially taking 30% off house prices, according to a report in www.building.co.uk. And yet with the prospect of the UK potentially pulling out of the EU with a No Deal Brexit, there are clearly vital potential issues about to affect thousands of businesses around the country – from a lack of clear guidance on regulations, to a shortage of skills, and a potential lack of access to building materials. One obvious major concern is the ‘divorce’ could potentially result in a lack of free movement which Prime Minister Theresa May is adamant should take place. Surely this means the skills shortage could worsen and the UK could become a victim of higher development costs whereby labour demand outstrips supply? Figures from the Office for National Statistics indicate that one-third of workers on construction sites in London are from overseas, with around 28% coming from the EU. This calls into question the range of skills this one-third has acquired given that construction sites need a combination of skillsets to complete work from engineering to bricklaying. On the one hand the knock on effect of a lack of free movement could result in the decline in the number of houses being built resulting in construction firms failing to meet the government’s housing target thus deepening the crisis of a lack of housing in large cities. On the other hand, if investors pull out of the UK, house prices could drop – leaving more empty properties available on the market. Either way, it’s difficult for construction firms to know what to prepare for as Britain meanders its way through unknown territory. A 2010 study by the Department of Business Skills and Innovation estimated that 64% of building materials were imported by the EU. The same report estimated that 63% of building materials were exported to the EU. After Brexit, importers and exporters may face duties or limits on quantities, which could in turn result in an increase in costs, or a shortage of, construction materials. ‘The single biggest issue keeping construction employers awake at night is the skills shortage. If we’re going to address this skills gap post-Brexit, the whole industry needs to step up and expand their training initiatives. Even Sole Traders can offer short term work experience placements and large companies should be aiming to ensure at least 5 per cent of their workforce are trainees or apprentices. ‘But realistically speaking, the UK construction sector can’t satisfy its thirst for skilled labour via domestic workers alone. With record low levels of unemployment, we’ll always need a significant number of migrant workers too – particularly in London and the south east. 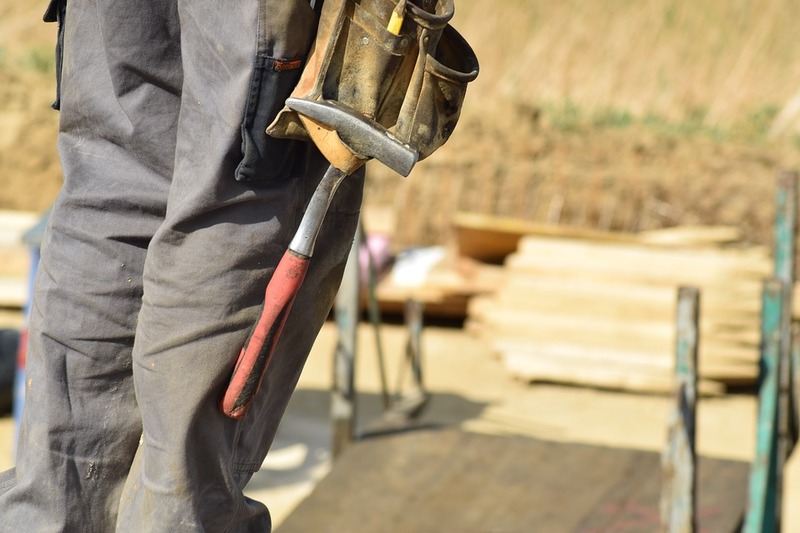 The Construction Industry Training Board – www.citb.co.uk, – however, expects positive growth for the construction industry but only in the case of an exit deal as opposed to a no exit deal, according to the CITB’s recent press release. The annual Construction Skills Network (CSN) report – a five-year forecast into the industry’s skills needs – anticipates construction growth of 1.3% across the UK, down a third of a percent on the previous year. The forecast is based on the scenario that the UK agrees an exit deal with the EU, rather than a ‘No Deal’ situation. The biggest increase is expected in public housing, which is pulling ahead as infrastructure slows. Financial support from Government at both local and national levels is encouraging a 3.2% growth rate in public housing, up half a percent since last year’s forecast. Infrastructure is set to grow by 1.9%, down from 3.1% predicted in last year’s forecast. The sector has been heavily affected by Brexit uncertainty and by investors stalling construction of the Welsh nuclear power plant Wylfa in January. Commercial construction is significantly declining due to investors taking a cautious stance in the face of Brexit. The forecast expects the sector to drop sharply this year then level out by 2023, with zero growth anticipated overall. However, the housing repair and maintenance sector appears to be benefitting from a quieter property market as home owners halt plans to sell up and instead focus on improving their current properties. By 2023, the sector is expected to have grown by 1.7%. Despite the wider economic uncertainty, more construction workers will be needed over the next five years. An approximate 168,500 construction jobs are to be created in the UK over the next five years, 10,000 more than in last year’s forecast. Construction employment is expected to reach 2.79 million in 2023, just 2% lower than its peak in 2008. ‘This forecast aptly reflects the uncertainty, particularly associated with Brexit that we’re seeing across the wider economy. Currently, concerns around Brexit are weighing on clients and investors, creating a knock-on effect on contractors and their ability to plan ahead. 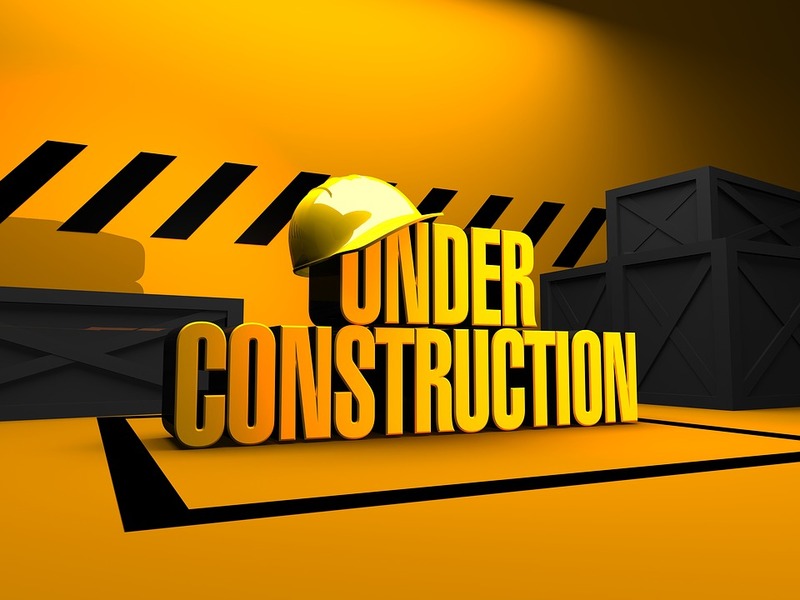 Whether one prefers the notion of a road to opportunity or the wake-up call of a No Deal Brexit, the clock is ticking for the UK’s construction executives as the sector waits for clarity from the UK Government. Despite reiterating that the economy remained “robust”, during the delivery of the Spring Statement on 13 March 2019, Chancellor of the Exchequer Philip Hammond MP emphasised that the UK is currently shrouded in a “cloud of uncertainty”. The National Federation of Builders (NFB) remains unconvinced by the chancellor’s latest announcements on housing and planning which include an Affordable Homes Guarantee Scheme and the use of the forthcoming Environment Bill to mandate biodiversity net gain for developments in England. As we approach the 2020 deadline by which the Government had pledged to deliver one million homes, including 200,000 starter homes, it is becoming increasingly clear that both targets will be missed. Now, it appears the Government’s solution is to throw money at the challenge – up to £3 billion for the delivery of 30,000 affordable homes through housing associations, to be precise. Firstly, those figures make no economic sense. If the Government, its agencies, such as Homes England, and planners had been developing sustainable relationships with lower volume house builders to deliver the numbers of homes we need, it would not be in a last-minute panic. Further, a stumbling block to increasing demand for, or the provision of, affordable housing is the cost. As long as the cost of affordable housing is set in legislation at £450,000, it will continue to remain unaffordable. The House Builders Association (HBA), the house building division of the NFB, expresses concerns about the chancellor’s announcement that biodiversity net gain will become compulsory for developments across England. The net injection of new homes into England’s housing supply is at its highest levels in a decade, official figures show. There were 222,190 net additions in 2017-18 – up by 2% on 2016-17, figures from the Ministry of Housing, Communities and Local Government show. It is the highest annual total recorded since 2007-08 – although the overall rate at which supply has been increasing year-on-year has slowed down. In terms of housing gains last year, there were 195,290 new build homes – a 6% increase on the number of new build additions a year earlier. And there were 29,720 gains from change of use from non-domestic properties to residential ones, such as by converting former offices and agricultural, storage and light industrial buildings into properties for people to live in. There were also 4,550 gains from conversions from houses to flats and 680 other gains made up of homes such as caravans and house boats. All of these increases were offset by 8,050 demolitions – making a total net increase of 222,190 homes between the start of April in 2017 and the end of March in 2018. The latest net increase in housing supply is just 1% below a peak seen in 2007-08, when there was a 223,530 net increase. The net increase in housing supply dropped off in the economic downturn but has since been recovering. The net injection of new homes in 2017-18 sits 78% above a trough in 2012-13 when the figure was 124,720. However, the annual increase of 2% in England’s net housing supply is lower than a 15% annual increase seen in 2016-17, an 11% rise in 2015-16 and a 25% upswing in 2014-15. Polly Neate, chief executive of Shelter, said: “It’s good to see that the number of homes being delivered has risen again in the last year. Stewart Baseley, executive chairman at the Home Builders Federation (HBF), said the figures show the home building industry is delivering the increases in housing supply the country needs. Communities Secretary James Brokenshire said: “Today’s figures are great news and show another yearly increase in the number of new homes delivered, but we are determined to do more to keep us on track to deliver the homes communities need. The number of new-build homes being registered jumped to an 11-year high in the third quarter of 2018, according to an industry body. 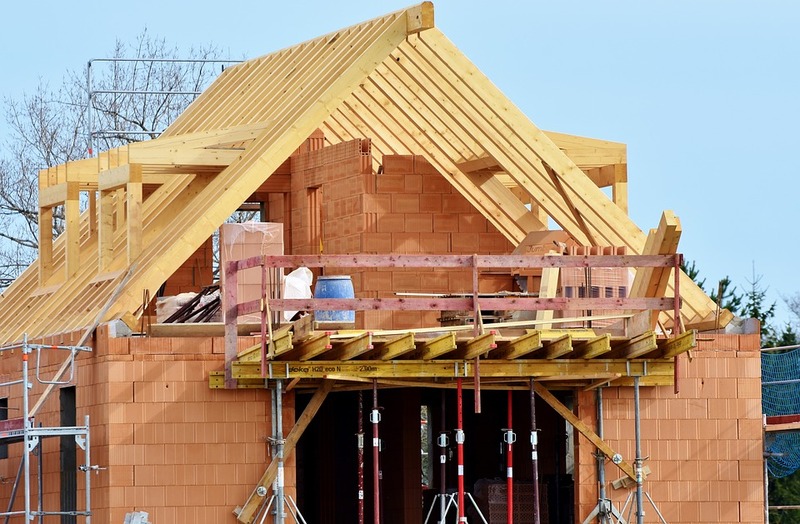 Some 43,578 new homes were registered across the UK between July and September – the highest total since the third quarter of 2007, according to the National House Building Council (NHBC). The NHBC’s registration figures are taken from builders who are responsible for around 80% of homes constructed in the UK. The number of homes being registered was also 15% higher than in the third quarter of 2017. 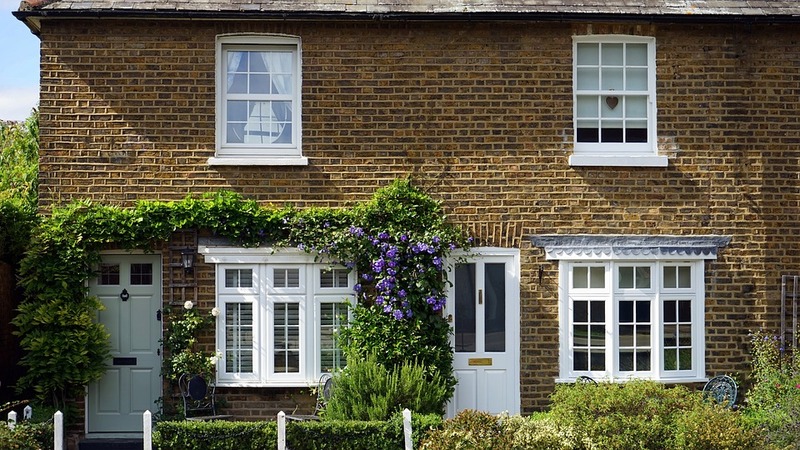 Rising new home registrations in the private and the affordable sector have helped push the figures up, the NHBC said. London has seen a dramatic increase in registrations, up 141% to 6,007, compared with a lower-than-usual figure of 2,492 in the same period last year, its report said. This is partly due to a number of large developments being registered by housing associations and by investors focused on the private rental sector, according to the NHBC. It said Scotland, Yorkshire and Humberside and the South West of England are also seeing considerable growth in new-build registrations compared with 2017. This week’s Budget saw further help for first-time buyers amid a package of measures aimed at boosting the housing market. NHBC chief executive Steve Wood said: “The upturn in registrations over recent months is good news for the industry and shows that there remains a strong demand for high-quality new homes in many parts of the UK. “The increase in London is welcome, although it has been boosted by a number of large-scale developments and has to be set against unusually low figures this time last year. “On a broader front, the industry remains cautious in the short-run until the economic impact of Brexit is clearer. Developers will finally bring forward detailed plans for around 1,600 new homes which have stalled for more than 15 years. Forth Ports’ proposals to redevelop its Western Harbour site between Leith and Newhaven passed a planning hurdle when the updated development framework was approved by councillors. 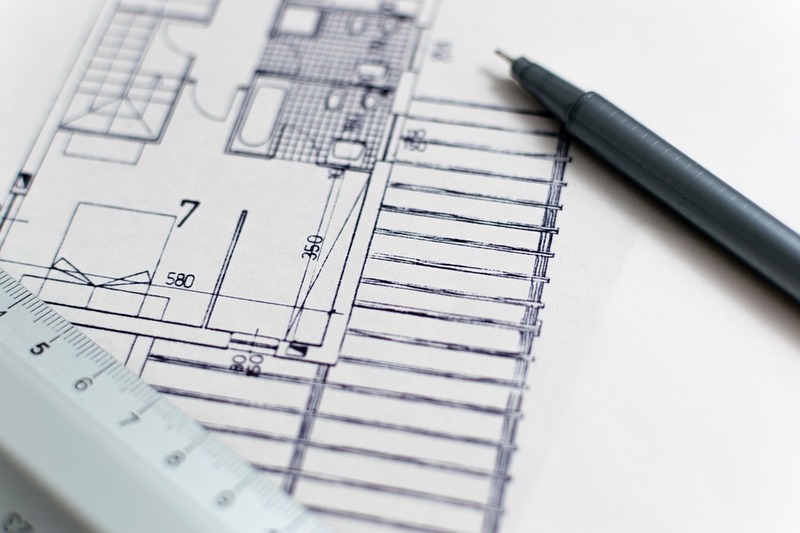 The company will now bring forward full plans by February – as original outline planning permission is due to expire next year. The framework was resubmitted due to the original masterplan for the site no longer meeting aspects of the council’s planning guidance. The new community will include a large park, a board-walk promenade and a new school for which plans are set to come forward “in the next couple of months”. Forth Ports has submitted a funding bid to the Scottish Government for a loan to accelerate delivery of affordable housing at the waterfront site. Charles Hammond, Forth Ports group chief executive, said: “We are pleased with the decision by City of Edinburgh Council to approve our revised design framework for Western Harbour in Leith. He added: “Through our other recently completed developments at Harbour Point and Harbour Gateway, we know there is a great deal of demand from people looking for these mid rent homes and an opportunity to create a community. Three blocks of flats on the Western harbour site have already been built in the first phase of the project – along with a hotel and an Asda supermarket. This phase of the development won planning permission in principle in 2002 – but the renewed agreement is set to expire next year. The new flats will range from three to eight stories high and each block will have its own surrounding green space built around a park. The city council’s development management sub-committee welcomed the revised vision for the Western Harbour. Ward Cllr Chas Booth said the response from local residents had been “overwhelmingly positive”. He added: “This space has laid empty for a long time and local residents are very keen to see development come forward. If the decision to go ahead with the trams is made later this year, this is highly accessible from a public transport perspective. Meanwhile, Spofforth’s Borough councillor, Conservative Andrew Paraskos, highlighted the problems facing pedestrians; and he denied the developer’s claim that the narrow footpath along Harrogate Road – where the main entrance to the housing estate will be located – was safe. According to Spofforth resident Stewart Killin, this would mean most residents would either get into their cars; or walk – but put themselves at risk. He also highlighted other problems which would be caused if the application was approved including the impact on Spofforth’s primary school and on dental and medical services in the village. Altogether Harrogate Council received 172 representations from Spofforth residents, all objecting to the plans and on a variety of grounds including that the proposed land was known to flood; that the site was one of potential archaeological interest; and that the northwestern corner of the site lay within Spofforth’s conservation area. The planners also felt such considerations were outweighed by the benefits offered by the new housing estate. These included providing additional housing to meet the needs of the Harrogate district. Plus the financial contribution promised by the developer towards the maintenance and enhancement of Spofforth’s existing facilities and services. Ignoring the advice of planning officials, councillors unanimously backed the suggestion by Coun Robert Windass (Con, Boroughbridge) that any decision should be deferred until after the committee had been given the opportunity to closely question a representative of North Yorkshire County Council’s highways department about safe access to and from the proposed estate. It was also suggested that an official from the County Council’s education department should be present to spell out exactly what impact the new housing development would have on Spofforth’s primary school; whether an extension would have to be built – or children forced to travel elsewhere. Sadiq Khan has pledged to build 10,000 new council homes in London over the next four years. The mayor of London will use funds from a £1.67bn pot he secured from the government in its spring statement to increase the number of homes in the capital. He is also allowing London councils to bid for grant funding at a special rate, which will allow them to offer new homes based on social rent levels more easily, his office said. Mr Khan criticised the government for failing to give councils in London the freedoms they require to ensure homes sold under the Right to Buy scheme are replaced. Since Right to Buy was introduced in 1980, 306,000 social homes have been sold by councils in London, according to the Ministry of Housing. During the same time, only 62,000 new homes have been built at social rent. Mr Khan said: “I grew up on a council estate and I know first-hand the vital role social housing plays in London. “Council homes for social rent bind our city together, and they have been built thanks to the ambition of London’s councils over many decades. “Back in the 1970s, when I was growing up, London councils built thousands of social homes, providing homes for families and generations of Londoners. Mr Khan added: “I am proud to launch Building Council Homes for Londoners – the first ever City Hall programme dedicated to new council housing. “I want to help councils get back to building homes for Londoners again, and I’m doing that with support from the £1.67bn fund I secured from government to help get 10,000 new homes underway over the next four years. “I am offering councils expertise and resources from City Hall to scale up their homebuilding programmes, and I will help them to replace homes sold through Right to Buy. From April 2018, measures introduced by Ofwat, the UK water regulator, sweep away barriers to competition and, for the first time, give housebuilders and developers in England and Wales a real choice of providers for new water and wastewater connections. This opening up of the water market is expected to bring developers in both the private and public sectors significant benefits, including the opportunity for developments of all sizes to adopt a truly multi-utility approach, sourcing all of a site’s utilities through a single network provider. Until now, there have been very limited opportunities for developers to source their water networks from anyone other than their local water company. In England and Wales, water companies supply domestic water and wastewater services on a monopoly basis within their specific geographical areas. It has always been an option for new developments to choose a competing water company, but under the previous rules, it was only financially viable for competing companies to become involved on the largest projects. These competing water companies are referred to as NAVs – ‘New Appointment and Variation’ – and are licensed by the regulator on a per-site basis. NAVs own and manage the site network providing billing, maintenance and customer services. They either install the network themselves or adopt networks installed on a developer’s behalf by Self-Lay Providers (SLPs). Following an investigation into how the water market was operating, Ofwat identified several significant barriers to competition. These involved the way in which tariffs for bulk water supply and income offset were calculated. The changes being introduced will make it easier for developers and competing water companies to establish what an incumbent water company will charge to connect a new development to their existing water network. The charges will also be fairer, with new connections being the same irrespective of who the final network owner will be. In addition, Ofwat has undertaken to streamline the lengthy licensing process required to appoint alternative network providers, such as GTC. Housebuilders and developers are used to the freedom to choose their network providers for gas and electricity connections and indeed most of new electricity and gas connections are undertaken by independent network providers. The gas and electricity markets in the UK were liberalised twenty years ago and the opening up of those markets has delivered increased competition on price, higher service standards and more innovation and development. The same benefits will now be available in the water and wastewater markets. The Home Builders Federation (HBF), the representative body for the home building industry in England and Wales regards these developments as so significant that it has established a committee to focus on how these major changes will impact its members. GTC, as the UK’s largest independent utility network provider to the new-build market, has welcomed the opening up of the water market and has been working with Ofwat and Water UK, which represents the water industry, to help make these changes happen. GTC has considerable experience of being a NAV licence holder and is already responsible for more than 8000 live water and wastewater new connections, with contracts to build out tens of thousands of further connections on sites from Newcastle in the north to Weston-Super-Mare in the southwest. GTC is looking forward to being able to offer the whole housebuilding sector the opportunity to benefit from its different approach to network provision across all the utilities. With the arrival of genuine competition in the water market, adopting a multi-utility approach is now a realistic option for housebuilders and developers working on sites of all sizes. Now all a development’s utilities – water, wastewater, electricity, gas, ultrafast FTTH (Fibre-to-the-Home) and in some case district energy – can be sourced from a single independent provider. Utility procurement can be simplified with only one set of tenders, one company to deal with and a single project manager who oversees the installation of all the utilities with all the time and cost-savings, that would deliver. GTC and its sister company Metropolitan, has worked in just this way on several flagship projects such as King’s Cross and Greenwich Millennium Village in London and has direct experience of the benefits that co-ordinated utility installation and combined network management can bring. Those benefits will now be available to much smaller developments, even those of as few as 50 houses. The new measures come into force in April and every housebuilder and developer needs to consider how these changes will affect their utility procurement. Provided an order has not yet been placed, it is still possible to review options. Robust competition across all the utilities for new-build developments can only be a good thing. It is now up to housebuilders to take full advantage of these new opportunities.